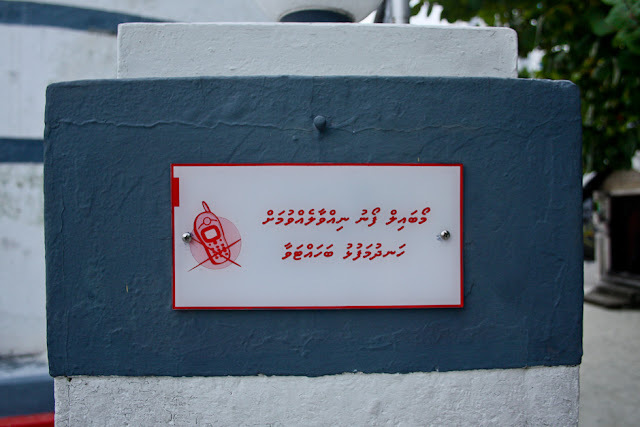 A gentle reminder to turn off your cell phone before entering the compound of Grand Friday Mosque. As this Mosque is in a tourist area, I wish the sign was in more than just the local language, Dhivehi. But I guess, the sign with a drawing of the a cell phone would suffice. Barely, I guess.